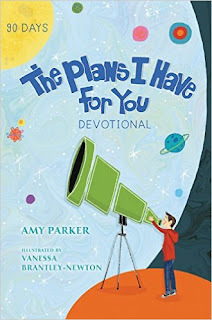 The Plans I have For You Devotional by Amy Parker is an amazing devotional! The Plans I have For You Devotional is a 90 day devotional that encourages kids to dream about their future, focus on faith, love, joy and to recognize that God has a plan and purpose for each and every one of us. My daughter is enjoying going through this devotional and absolutely loves that God has a plan for her life. I've read this devotional with her quite a bit and have enjoyed every bit of it. I highly recommend The Plans I have For You Devotional by Amy Parker! It's a devotional every child should read! 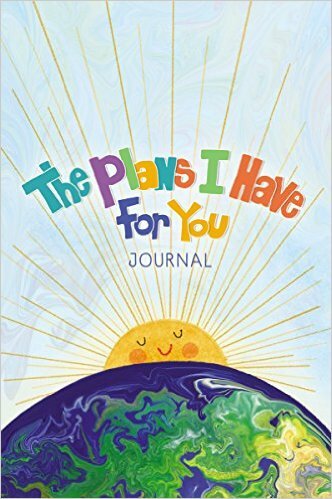 You can find The Plans I have For You Devotional on Amazon, Barnes and Noble and other bookstores. The Plans I have For You Journal by Amy Parker is an amazing addition to the The Plans I have For You Devotional! I love journals and encourage my children to keep one but having one that goes along with a devotional will be especially wonderful to have when my daughter is grown up. To be able to have a journal to look back on and realize that even as a child, God had a plan. The illustrations in the journal are wonderful and my daughter enjoys using this journal with The Plans I have For You Devotional. This is a terrific way to dive even deeper into the Devotional and would make a terrific gift for any child! by Amy Parker on Amazon, Barnes and Noble and other bookstores.